HQ-60 SETS NEW STANDARD FOR TIME ALOFT – 22 hours 29 minutes! 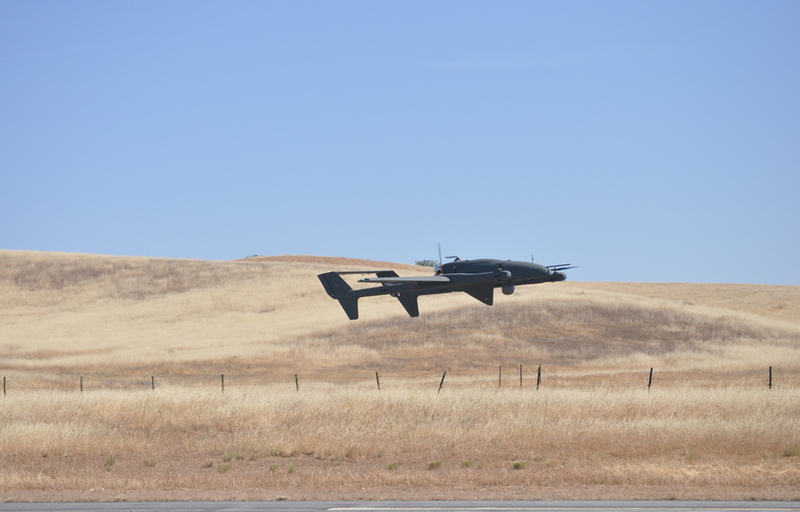 CAMP ROBERTS – AUGUST 9-10, 2016 – Latitude Engineering, with a team coordinated by L-3 Unmanned Systems, consisting of Power4Flight, Trillium Engineering, and Silvus Technologies, participated in the Joint Interagency Field Experimentation Program (JIFX). Hosted by the Naval Postgraduate School at the California National Guard’s Camp Roberts, JIFX provides an environment to encourage innovation and collaboration between DoD, government agencies, various industries, and universities. Special Operations Forces, the National Guard, and first responders participate to provide feedback on the effectiveness, affordability, and feasibility of new technologies showcased at JIFX. 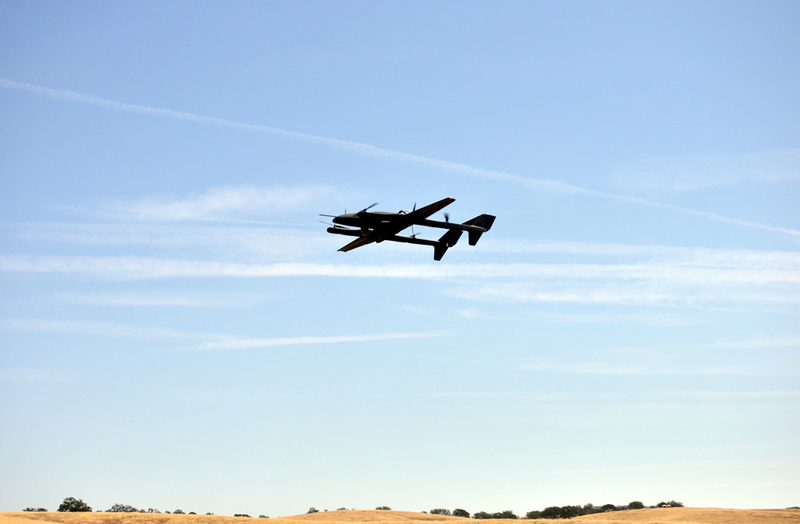 The goal of the demonstration effort, led by Latitude Engineering, sought to surpass the world record for time aloft of a vertical takeoff and landing (VTOL) aircraft, using Latitude’s HQ-60 Hybrid Quadrotor UAV. The HQ-60, procured by L-3, launched at 2:06 PM PST and continuously flew until 12:39 PM PST the following day, successfully surpassing the record for time aloft of a VTOL aircraft, with a total flight time of 22 hours, 29 minutes, and 38 seconds, with fuel to spare. The Boeing A160 had previously flown the longest at 18 hours, 45 minutes. To add further perspective on this achievement, the HQ-60 UAV flew approximately 1090 miles on a single tank of gas, while carrying a representative payload consisting of Trillium’s Orion HD50 EO/IR gimbal and a Silvus Streamcaster radio. The highly efficient Power4Flight B60i engine sipped fuel at a rate of 1.3lbs/hour and was instrumental in achieving this record breaking flight. The capabilities of the HQ-60 system earned significant interest and accolades from JIFX attendees. This demonstration flight of the HQ-60 definitively dispelled a misconception about the HQ concept. Initially, critics thought carrying the VTOL system onboard the aircraft would impose a substantial weight penalty, resulting in a platform with limited endurance thereby negating much of the operational and cost benefits promised. At a time aloft just shy of 22.5 hours, this milestone flight clearly demonstrated the potential of the HQ concept to achieve unprecedented operational endurance while at the same time offering truly affordable runway independence. The HQ fixed wing vertical takeoff and landing configuration allows for runway independence without the cost and complexity of additional ground based launch and recovery infrastructure. Existing runway independent systems, like the Insitu ScanEagle, require a catapult launcher and skyhook recovery system – both add significant cost, complexity, expand operational footprint, and significantly reduce portability. We firmly believe that affordable runway independence, as embodied by the HQ concept, will be the next big hurdle that military UAS will want to overcome. It will also be paramount to the wider adoption of UAS in emerging commercial and industrial applications. Latitude Engineering’s proven HQ concept is strategically poised to add value to military, commercial, and industrial applications alike.